The purpose of this website is to honor Laurie Frink and prepare the way for her legacy to continue – to inspire and promote artistic integrity, beauty, grace, and humor. In addition, it is to announce the creation of the Laurie Frink Career Grant. The mission of this grant is to offer to a young brass player an opportunity for serious study or to undertake a creative project. Watching some of her students struggle with the financial burden was heartbreaking to Laurie. Whenever possible, she would put them on her own personal scholarship – free lessons. The goal is to be a grant of $10,000 awarded to an extraordinarily talented player every two years: a grant that would be life changing. Pursuing jazz is difficult when you lack an environment to develop in the Bahamas, but since the age of 10, Giveton Gelin (now 18) has taught himself how to play the trumpet simply by emulating what he would hear on his favorite records. Despite years of self-tutelage, it wasn’t until he saw double bass player Adrian D’Aguilar playing live that Giveton realised “there was a place for jazz in the Bahamas!” Through this encounter, Giveton was led to take part in music programs abroad such as The Manhattan School of Music Summer Camp Jazz Band, Manhattan School of Music Summer Camp Latin Jazz Band and The Spike Wilner Trio. 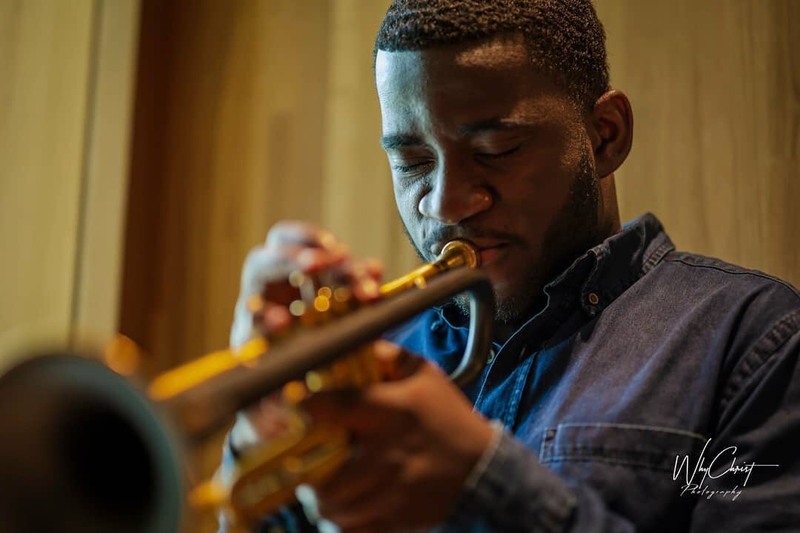 Giveton has won top positions at both the YoungArts Foundation and the Betty Carter Jazz ahead program, and has received mentoring from some of the world’s greatest jazz musicians including Wynton Marsalis, Nicholas Payton, Eddie Henderson, Barry Harris, Jason Moran, Ralph Peterson, Ambrose Akinmusire and Roy Hargrove. He now continues to excel in his musical growth finishing his first year at Juilliard. Aaron Mutchler began studying trumpet at the age of 8 with Rob Waugh (Indiana State University) in Terre Haute, Indiana. Early on, Aaron showed a natural talent at improvisation. Due to a suggestion from his middle school band director, David Nearness, Aaron attended the Jamey Aebersold Jazz Summer Workshop after his 7th grade year. Aaron returned to the camp for the following four years. There he was introduced to many instructors who have been very influential in his musical and jazz education. Some of these instructors include Anysn Banks, Pat Harbison, Jim Ketch, Jim Rotondi, and Bob Symer. To progress his jazz studies, he studied jazz piano with Dr. John Spicknall starting his freshman year of highschool. Aaron currently is studying jazz trumpet at the University of Miami in Florida. At the university he studies with Grammy Award winning trumpeter Brian Lynch and performs in the university’s Studio Jazz Band. 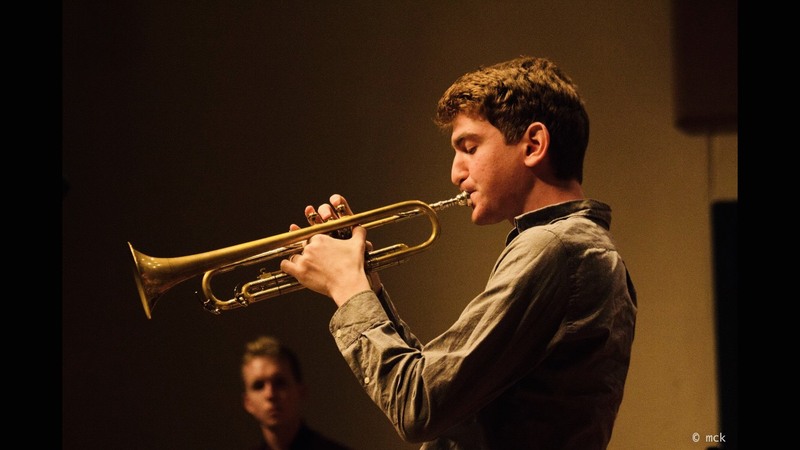 Through the University of Miami Aaron has had many great opportunities, including working with great artists such as David Liebman and Frank Greene. ON SEPTEMBER 11 2018, The Festival of New Trumpet Music will be presenting a concert featuring the music of Laurie Frink at Threes Brewing (Brooklyn) at 8pm. The event is hosted by previous winner Riley Mulherkar, and directed by Richard Johnson. ANNOUNCING THE LAURIE FRINK BRASS SUMMIT #7, to be held on Monday, November 27th from 2-4pm in Laurie’s studio. An opportunity for brass players to get together and chat about Laurie’s teaching methods, swap notes, and have some light refreshments. Ingrid Jensen will be our esteemed speaker. Entry is a suggested $20 donation, which will go towards the Laurie Frink Career Grant fund. YOU MUST RSVP to lauriefrinkcareergrant@gmail.com to attend. On September 25th, Tony will join Jeff Beal and the John McNeil Quartet for the Award Ceremony and final concert of the FONT Festival at the New School, New York. For more information, please CLICK HERE. Hailed as “a great writer and a terrific trumpet player” by legendary songwriter Burt Bacharach, and said by jazz artist Dave Douglas to be “one of the finest young trumpeters”, Tony Glausi is establishing his voice in the music industry as an award-winning trumpeter, keyboardist, composer, arranger, and producer with a distinct story to tell. Among other accolades, Tony placed 1st in the Jazz Division of the National Trumpet Competition in March of 2014 and has been recognized and awarded by Downbeat Jazz & Blues Magazine for several outstanding improvisational performances and for his small ensemble composition, Something to be Remembered For—the opening track from his debut record, Identity Crisis. With a bachelor’s degree in jazz performance from the University of Oregon, Tony is continuing his studies at the UO as a graduate teaching assistant while pursuing his master’s in jazz composition and studying privately with Brian McWhorter and Steve Owen. As a student there, Tony composes for and performs and records with university ensembles including the prestigious Oregon Jazz Ensemble, the JazzArts Oregon Combo, the UO Trumpet Ensemble, and the university’s premier brass quintet. He is also actively involved with other Oregon-based groups including Red Pants Trio, TopHat, OrchestraNEXT, Beta Collide, and the Eugene Composer’s Big Band. Riley has performed at the Umbria Jazz Festival, Jazz à Vienne, and Carnegie Hall, and has shared the stage with Marsalis, Leonard Slatkin, and Dave Douglas, among others. Riley is a founding member of The Westerlies, a new music brass quartet that has premiered over 50 original works since its inception in 2011. Their debut album, Wish The Children Would Come On Home, was hailed as “an impressive feat from almost any angle” (Nate Chinen, JazzTimes), and named Debut Album of the Year by NPR Music’s Francis Davis. Riley is actively engaged in educational outreach. He has taught at Harlem School of the Arts, and founded the music program at stART Osceola, a summer arts intensive in Florida, where he has taught the past five years. He has also facilitated master classes in Brazil, Mexico, and across the United States.